Single-story floor plan offers great flow for entertaining. Three-Bedroom, Two-Bath house with attached 2 car garage. Beautiful Kitchen w/ Oak Cabinets and gas stove. Formal living room is spacious and open and a wonderful space to entertain featuring recessed lighting. Fresh paint, hardwood floors, cedar floors in closet, and new carpet in master retreat. Large lot with side yard access includes front landscaping w/ automatic sprinklers, off street parking and RV/Boat Parking. 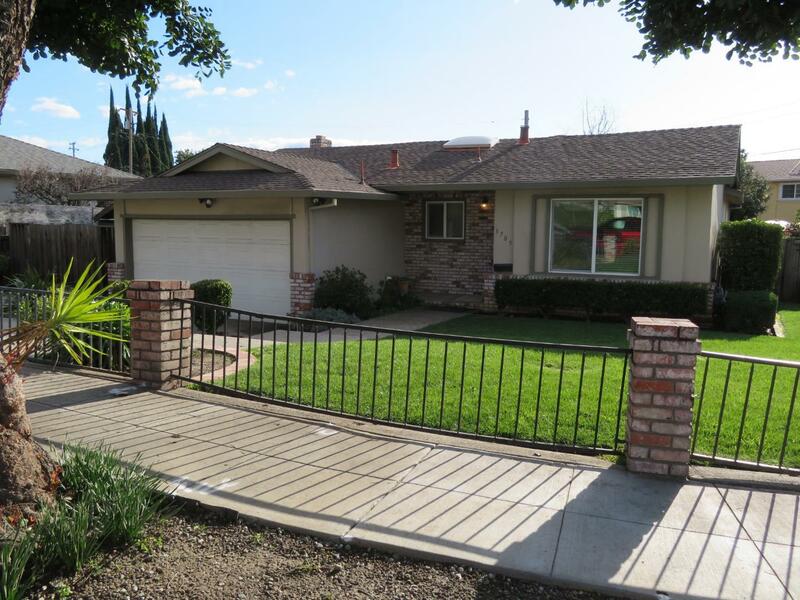 Close to Shopping, Freeways & Schools. Easy Access to 280 / 680 / 101 / Capitol. 7.4 miles from Downtown San Jose, 8.5 miles from NEW San Jose Google Campus. Don't Miss It!